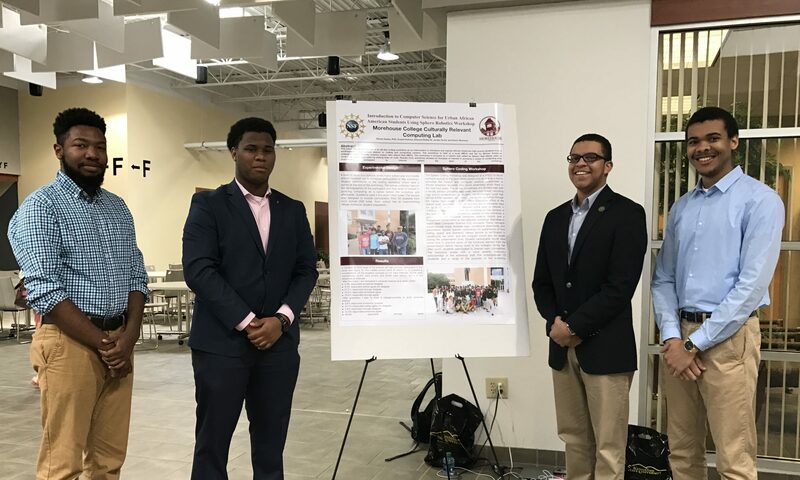 Researchers from the Culturally Relevant Computing Lab (CRCL) in the Computer Science Department at Morehouse College recently submitted an abstract titled, “Exploring the Needs and Preferences of Underrepresented Minority Students for an Intelligent Virtual Mentoring System” to the 2019 HCI International Conference. Their abstract was accepted as a poster for publication in the conference proceedings and presentation. The authors of this abstract are Naja A. Mack, Research Scientist; Earl W. Huff Research Scientist; Robert Cummings, Postbaccalaureate Researcher; and Dr. Kinnis Gosha, Hortenius I. Chenault Endowed Associate Professor and Director of Non-Traditional Academic Initiatives. The HCI International 2019 is the 21st International Conference on Human-Computer Interaction. It will take place July 26th-30th at the Walt Disney World Swan and Dolphin Resort in Lake Buena Vista, Orlando area, Florida, USA, under the auspices of 18 distinguished international boards.